On Sunday, January 27th we are encouraging all students and families to attend our “Souper” Bowl Party. This will be a great time of food and fellowship and will take place at our Grace Campus (163 W Frederick St) inside the gymnasium. This will be a great time for families to connect and fellowship! (Monday, January 28th is our make-up snow date, same time). Following the Meal and Fellowship, we are encouraging all families to come join us for our ONE Worship Event which will take place in the Sanctuary of our First Campus (121 N George St) at 7pm. This will be an incredible time for families to worship together and also meet some of our areas incredible campus ministry leaders! SOUPER BOWL PARTY! CLICK HERE. We will be having a parents and ministry information meeting on Sunday, Jan 6th in the youth room at our Hope Campus (242 Bender Rd). We will be going over some exciting and important information for how to be involved in our ministry in 2019! CLICK THE BUTTON BELOW AND LET US KNOW YOU ARE COMING! Every year we go into Lancaster City to New Creation UMC for an incredible missional workshop. Our youth are paired up with a younger student who they lead through the workshop! The workshop consists of games, food, crafts and of course presents! 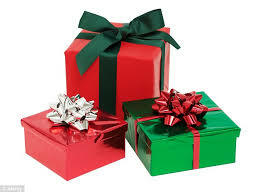 We collect presents over the next month and our youth help the student that they are paired up with pick out presents for their families and also a present for themselves! SCHEDULE: 11AM Lunch @ Hope Campus, 12-4pm Workshop, 4-7pm Youth Christmas Party. FOR MORE INFO CONTACT JACOB: jacob@gracemillersville.org. We will be holding our annual Lake Party on Sunday afternoon, June 3 from 4-8pm at "Bigler Lake" to once again celebrate the beginning of summer! Youth and their families are welcomed and encouraged to attend! There will be plenty for people to do. There will be an art station for students, swimming, boating, a fishing competition and more! Students and families are encouraged to bring their own canoes/kayaks and LIFE JACKETS! There will also be a brief parents meeting to talk about our summer programs and discipleship opportunities! This year we are offering the opportunity for students to be baptized! Please let us know if your son or daughter feels led to be baptized. We will be providing hot dogs and hamburgers and drinks, we are just asking that each family attending brings a side dish or dessert. Please use the following link to let us know you are coming and what you plan on bringing. Women Who Dare to Believe is a production performed by 2 actors who teach the stories of 21 Women of Faith from the Bible. 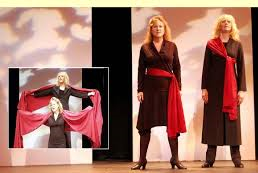 They teach through an incredibly powerful performance as they bring to life the stories from scriptures. This performance will occur at our Hope Campus (242 Bender Rd) from 7-9pm. All students that want to attend can do so at NO COST, but we do need to know how many tickets to order in advance. So please contact Jacob Marino at jacob@gracemillersville.org if you would like to attend. This will be an information meeting about the Service trip we will be taking with ASP this summer. The meeting will take place immediately following Sunday morning services and will be in the youth room at Hope Campus (242 Bender Rd). Every year we host a handball tournament in the Gymnasium of our Grace Campus to celebrate the end of Winter. Handball is a fun, fast paced game that anyone can play! The play is 5v5 and students in grades 6-9 are able to make teams to play! Each team is allowed to have only ONE youth leader per team. Students who don't want to play are still welcome to join us that night as there will be tons of other activities for them to do! Medals are awarded to First & Second place teams! 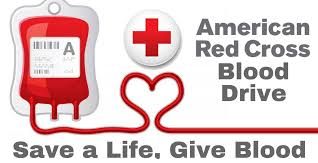 On Wed, January 17th our Church will be hosting a blood drive from 2-8pm in the Gymnasium of our Grace Campus (163 W Frederick St). Anyone who is of 16 years of age is able to give! We are strongly encouraging anyone who is available donate and help out a great cause. There are always free drinks and snacks provided and all donors will receive a small gift after giving blood. No cold, sore throat or fever. Youth Ministry Info Meeting! ALL Parents Welcome! On Sunday, January 14 we will be having a Youth Ministry Meeting and ALL parents and students are encouraged and welcome to attend! This will be a chance for parents and students to come and learn more about what we are doing in the Youth Ministry! We will be going over our 2018 Schedule, introducing some of our leaders you might not know and hearing from students who are currently involved in the youth ministry what their experience has been like. There will be a chance for you as parents at the end to ask questions! We have a lot of exciting things happening and cannot wait to meet some new people and share about our ministry with all of you! Registration for our 2018 Winter Futsal (indoor soccer) Academy is now open! Click the button below to learn more and register without having to put any money down. On April 25th of 2018, MCC is hosting a very special "Women of Faith" production at our Hope Campus (242 Bender Rd, Washington Boro). This production will be an incredible experience sharing the stories of 21 women of Faith. In preparation for this, we are off-setting the cost by making key chains and selling them. All of our Life Groups are getting together at our Grace Campus (163 W Frederick St, Millersville PA) to make these key chains! Students will learn how to do this and it is expected to be a lot of fun!